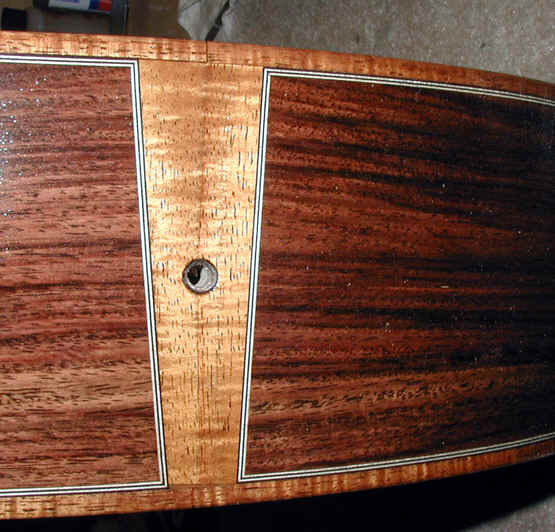 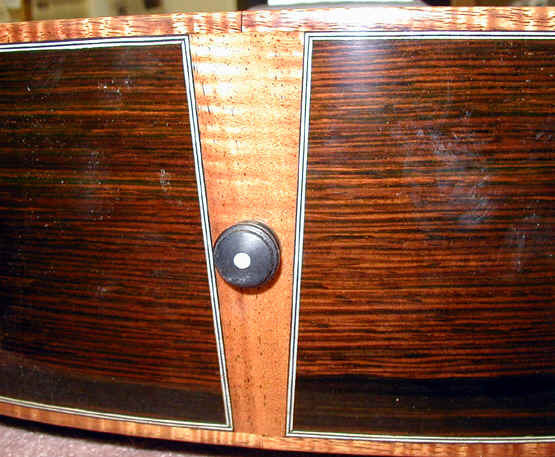 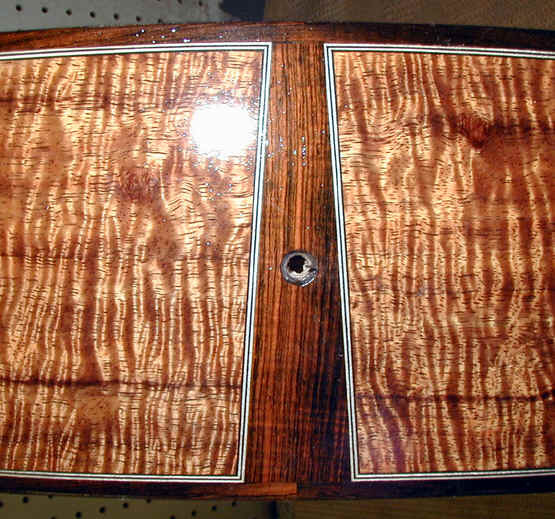 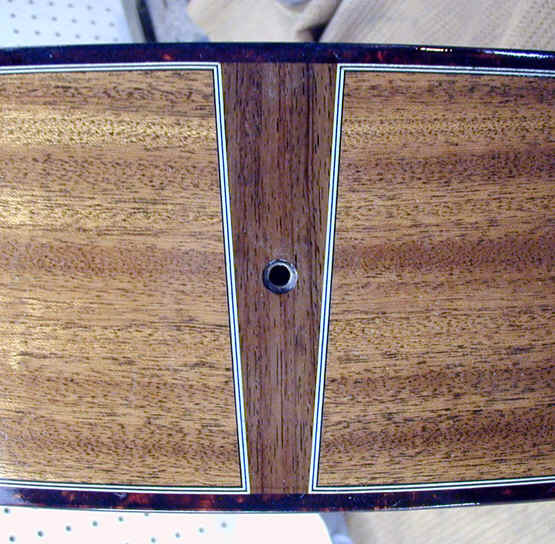 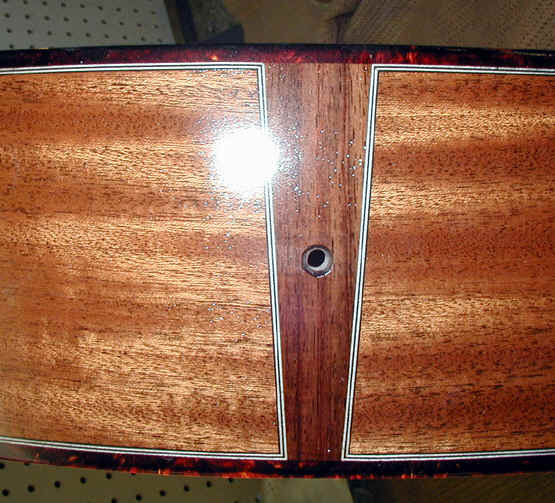 Tortoise plastic on a mahogany body. 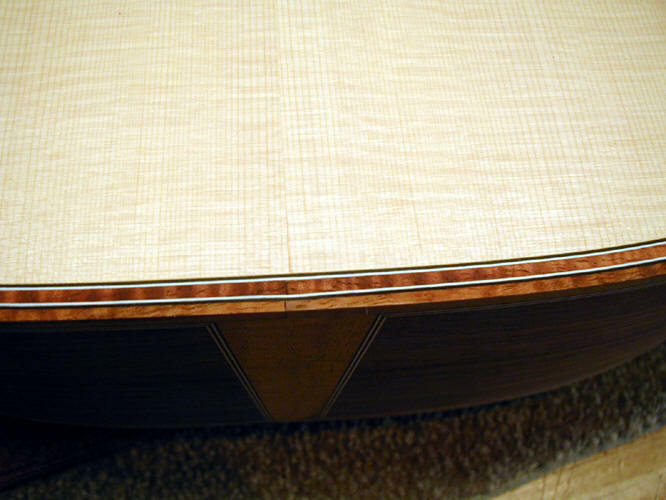 Here is koa binding with koa as part of the purfling on the top. 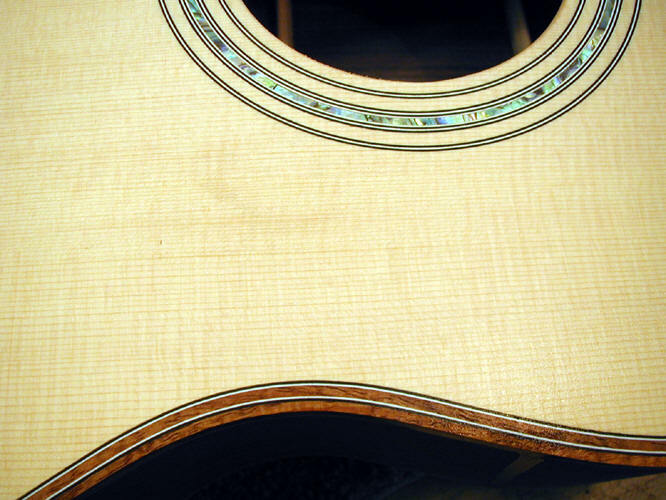 same with a abalone rosette.